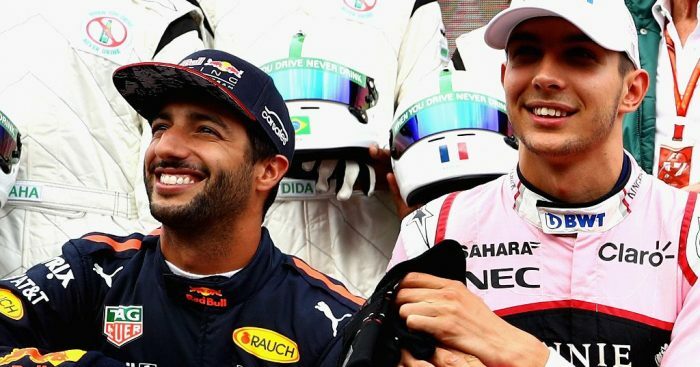 Daniel Ricciardo says he never intended ‘screwing’ over Esteban Ocon, that was just an unfortunate consequence of his decision to sign with Renault. Ocon was reportedly close to signing with Renault only for it all to change within 48 hours, leaving him without a driver for next season and Ricciardo named as Nico Hulkenberg’s 2019 team-mate. The Frenchman’s plight has raised questions about the state of Formula 1 given that a driver as talented as Ocon could be forced out of the sport. “The Ocon situation, I didn’t do it to screw him,” Ricciardo told Motorsport.com, “but the effect of my move has put him in a bit of a position now. “I don’t know, I wouldn’t say the young driver thing because we have more younger drivers in the field than ever before. “I feel old at 29. There’s kids below their 20s in F1. I don’t think it’s harder. “There’s political stuff, there’s financial stuff, that’s always involved but I genuinely believe that pretty much the vast majority of the grid now is based around talent. And while the Aussie believes Ocon is a driver worthy of being in Formula 1, he concedes it wouldn’t be the first time in the sport’s history that a talented driver has missed out. “I don’t know Ocon’s situation. If he doesn’t have a drive next year, sure he’s worthy of a drive. “But I wouldn’t say he’s the first guy that’s missed it. It’s happened before that drivers with the talent have lost out. “If he didn’t have a seat, do I think that’s the end of his F1 career? No, I don’t.